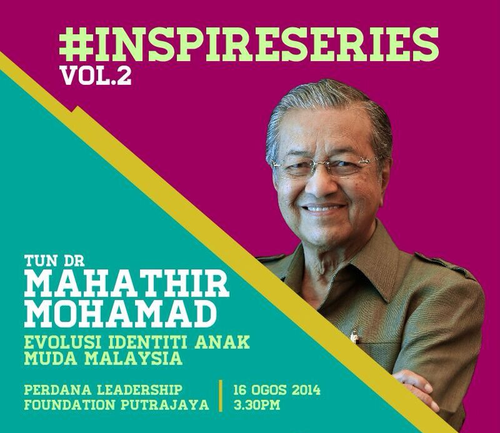 Akademi Belia proudly presents Inspire Series Vol. 2: Tun Dr Mahathir Mohammad. Interact with the fourth Prime Minister Tun Dr.Mahathir Mohamad as he shares his ideas and vision of Wawasan 2020 and also his thoughts and opinions on how the younger generations should craft their new identity for better a Malaysia!